With a new coaching staff in place, the Detroit Lions and six other NFL teams get a two-week jump on their voluntary offseason workout program. It all started Monday for the Lions and the new coaching staff under Jim Caldwell. While it’s technically “voluntary” can’t imagine anyone missing out on the opportunity to get to know the coaches. At the head of the class should be Nick Fairley. The beefy defensive tackle should be in the best shape he’s ever been at this time of year. He should be the first one in the door, the last one out. Fairley was basically offered a challenge when the Lions announced recently that they will not pick up his option year for 2015. It’s a new twist in the rookie contracts since the 2011 collective bargaining agreement. The deadline for teams to make the decision is May 3. Lions general manager Martin Mayhew wasted no time, saying that Fairley wasn’t worth the $5.5 million he would make in 2015. Mayhew hinted at a possible move at the NFL Combine in late February when he said he wanted to see improvement in Fairley’s commitment to the offseason program. This is a big risk for Mayhew, but he’s willing to take it perhaps to light a fire under Fairley who has shown flashes of wonderfulness since he was drafted in the first round in 2011. No defensive tackle is going to make highlight reel moves on every play, but defense starts with the line. And the line isn’t effective unless Fairley and Ndamukong Suh are raising havoc in the middle. Consistency has always been Fairley’s downfall. Work ethic was a question before he was drafted out of Auburn. All he needs to do is look at Suh — hard-working, always in top physical condition. One to let his play do the talking. 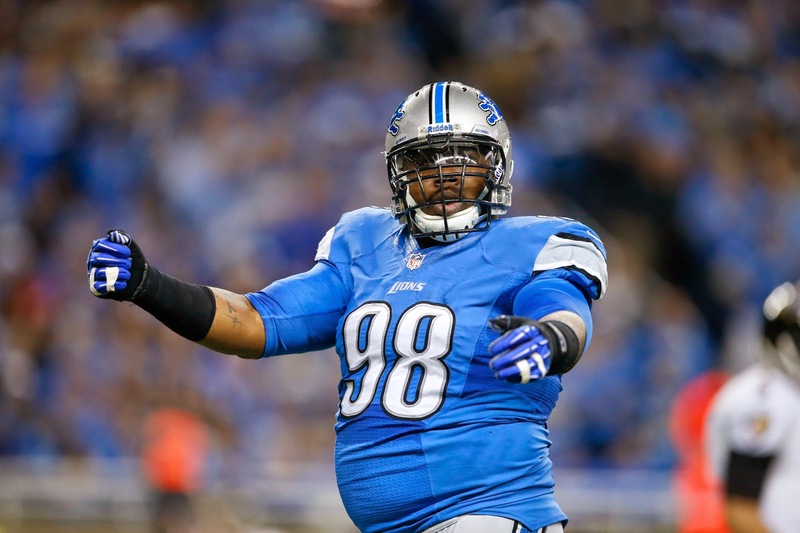 Fairley made headlines last offseason saying he and Suh are the best defensive tackle duo in the NFL. He was half right. Defensive line coaches Kris Kocurek and Jim Washburn return under Caldwell. They know Fairley. Perhaps the guy won’t need any extra motivation. Perhaps he’ll be his best self and will prove the Lions made a mistake by not picking up the option. You’ve got to believe that’s what Mayhew is betting on. After two weeks of strength and conditioning work the Lions veterans will participate in a voluntary minicamp April 22-24. That’s when we’ll get an idea of what’s up with Fairley and the rest of the team.